Never fails to pick you up! We adore a BIG GREEN SMOOTHIE. Enjoy as the perfect start to your day or as an afternoon boost. Fill, hydrate and cleanse your body with amazing nutrients. 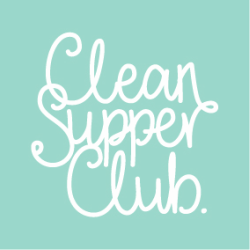 The Clean Supper Club Cleanse Smoothie has recently been featured on the Blue Diamond, Almond Breeze website. Throw all ingredients into a high-powered blender and blitz until smooth. cardiovascular, respiratory systems and keep skin healthy. Can help regulate blood sugar levels. They help balance blood sugar levels, support gut health and strengthen bones, helps lower cholesterol. Full of fibre & great for heart health. Great for skin, full of fibre and aid digestion. Promotes heart health and boosts the bodies immune system.